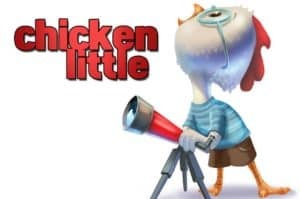 All last year, we real estate agents may have looked like Chicken Little. While we didn’t think the sky was falling, many of us ran around saying “A shift is coming… A shift is coming!” A market shift, that is. Why? Because we knew that the real estate market is typically on a 7-year cycle. And, if the 7-year cycle held true, we were headed for another downward turn. Guess what? Not true! It hasn’t come! We’re still waiting! With rates hovering at all time lows, homes are selling in less days on market and a higher percentage of list price than last year! If you’re thinking of buying, the time is NOW. A 1% increase in interest rates can make a 10% difference in your affordability. And, it’s only a matter of time before the rates start moving! And, if you’re a seller, the news couldn’t be more positive! Haven’t convinced you potential sellers yet? Sales prices are 6.7% higher than last year with a median sales price in Atlanta of $240,000. While the average Atlanta agent is selling homes in 46 days for 96% of list price, The Peters Company is selling homes in 13 days for 98% of list price on average! We’d love the opportunity to meet with you and discuss how you can take advantage of these excellent market conditions whether you are a buyer or a seller. ← Can You Overpay for a House?